Upholstery cleaning can make a huge difference in the quality of your furniture, and if you’re a business owner, clean furniture can increase your business. 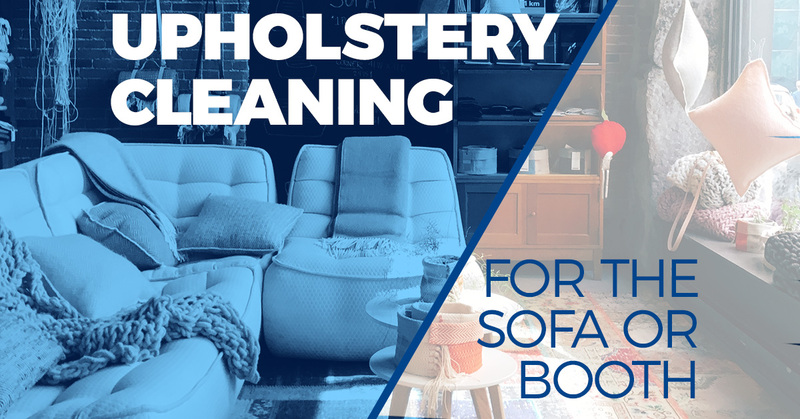 Today, our post is about upholstery cleaning for sofas and for booths. These are two similar pieces of furniture that get a lot of use and a lot of appreciation when they are clean. Cleaning the home is more than just wiping down the counters and vacuuming the floors. To keep a home in tip top shape (and to help maintain the longevity of furniture), we recommend cleaning upholstery in your home at least twice a year. Today, our focus is on the sofa, a.k.a. couch. In my house, the sofa is where we hang out as a family. During the week, we gather on the sofa to listen to someone play the piano or watch our favorite shows on TV. On the weekend, we’ve been known to park ourselves on the couch for the entirety of Sunday as we watch football. We aren’t too strict on our couch rules, so we eat snacks and drink drinks as we share company or relax. Sometimes, we spill and make a mess. While the dogs give the mess a good rinse, we still professionally clean the upholstery to give it a like-new look again. Upholstery cleaning a sofa means giving it a deep steam clean (or we can also dry clean it) to remove the dirt and grime that has soaked down all the way to the fibers. This helps remove more than what a single rag or vacuum can. The sofa always feels so much more comfortable after it has been freshly cleaned! Businesses can have sofas too! Whether they are in break room areas for employees to enjoy or in the lobby for guests to await reception, sofas make great office furniture. It is important to have upholstery cleaning more frequently in a business setting because it’s necessary to impress customers from the very beginning, especially when a business deal is in the works. Moreover, restaurants with booths and chairs can benefit from upholstery cleaning because there are many, many spills on those seats. Have you ever been seated at a restaurant and been immediately repulsed by the months-old stain on the seat? Not a good impression. People who are grossed out by the setting in which they eat are less likely to be repeat customers. 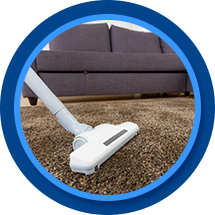 To keep your best foot forward, we recommend getting upholstery cleaned for your business once a month. Here at AA Super Klean, we offer monthly packages for upholstery cleaning in Casper, for both businesses and homes.